Hard disk drive (HDD) giant Seagate Technology is to start flogging HDDs with built-in encryption chips in an attempt to secure sensitive data on home PCs. The firm said that, given the explosion in sales devices that hold digital content within the consumer market, securing stored data was becoming an increasingly important issue for its customers. Attempting to lock down data has typically been a preoccupation for software firms such as Microsoft, but recently rival HDD vendors such as Fujitsu and Hitachi have touted drives with various forms of encryption. Seagate said it will bring nine new products onto the home PC user market, including a 1TB 3.5in, 7200rpm Barracuda FDE drive with full disk encryption. 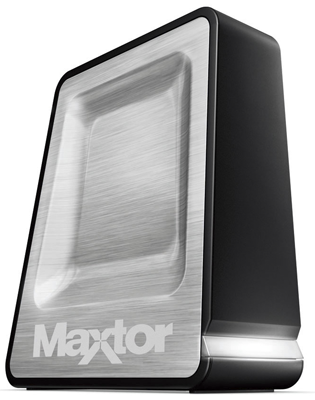 It will also be touting a range of "bare metal system restore" Maxtor drives dubbed the OneTouch 4 family available for Mac or PC platforms in 250GB, 500GB or 750GB capacities. Seagate reckoned the chip-based encryption product line will allow computers to be easily transferred to another user without putting data at risk. Last week, rumours abounded that Seagate was about to be sold to a Chinese computer maker – widely believed to be Lenovo – but the firm's CEO, William D. Watkins, later brushed aside those claims. He said that he had simply been talking up the growing interest from Asian countries in HDD technology. According to last week's New York Times, such a discussion was enough to ruffle a few feathers in Washington, who had expressed concern about the prospect of data falling into the wrong hands.